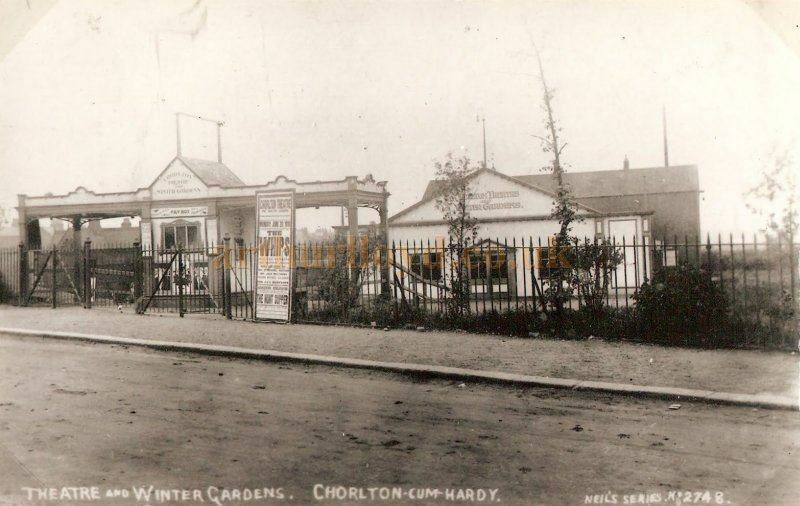 The Chorlton Pavilion was a wooden construction built in or around 1904 and was situated on Wilbraham Road on land that was reserved by the railway company for future track laying. In 1909 the Pavilion was bought by local solicitor H. D. Moorhouse and by 1910 had been renamed the Chorlton Theatre and Winter Gardens. Moorhouse later owned a circuit of Cinemas in Manchester. The Theatre closed between the wars and has long since been demolished. Some of the above information is Courtesy Andrew Simpson, you may like to visit his blog on Chorlton's History here.